This fall, OCCC students will be able to keep track of their academic progress with just a swipe of their student IDs by using Starfish, software the college recently purchased for approximately $80,000. 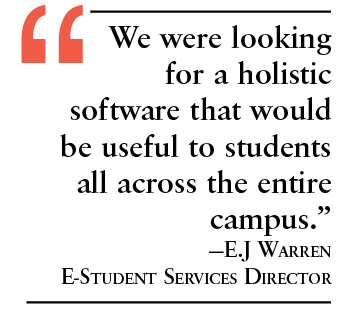 Starfish is a “retention solution” software system that integrates campus labs with all student services to track a student’s academic records, said E-Student Services Director E.J. Warren. She said it’s expected to increase student success, and, in turn, drive up the number of students who graduate at OCCC. 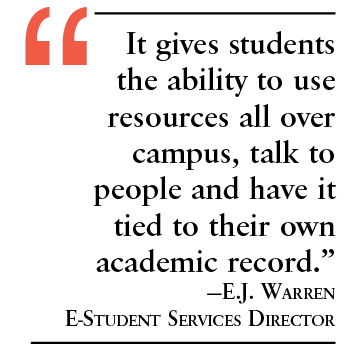 “It gives students the ability to use resources all over campus, talk to people and have it tied to their own academic record,” Warren said. The software, which will be downloaded to specific computers placed in certain areas on campus, will keep a record of every lab and student service — including Financial Aid and Advising — visited by students, she said. Starfish will log time spent in those areas and the reason for each visit so students can be paired with tutors and services that can assist them when needed, Warren said. She said it also will allow advisers and professors to better track their students’ time, progress and possible academic pitfalls. Information from previous visits is stored on students’ accounts and the accounts can be noted to assure smoother, swifter progress than before. She said internal testing of the new system began the week of July 6. Faculty is currently being trained on the new software. She said the first phase of the Starfish rollout will begin this summer. Stacee Trump, a physical science lab assistant, said she suspects Starfish will be a dramatic improvement over the current system used in her lab. “The system that we have now shuts down often and we don’t ever get any results back — how many students are actually here or how long they spend — and they don’t sign out so we really don’t know what they’re studying,” she said. Warren said the components of the software will be gradually introduced. She said among the first pieces of the software OCCC will use is the Early Alert system — an “early warning and student tracking module that collects information and manages concerns in a way that respects different groups’ unique workflows, so they can engage more deeply with more students,” according to the Starfish website. Starfish will notify students when they are at risk and direct them toward assistance to get them back on track. Warren said this type of engagement was always one of the goals in finding new software. “We wanted something that faculty could … participate in,” she said. “They’ll be able to give kudos to students (through the Starfish system) and they’ll be able to raise concerns for students. Warren said setting out to find new software took some unique vision. “You kind of have to recognize what you can’t do but what you would like to do,” she said. She said the decision to purchase the Starfish software came at the end of a two-year search conducted by a project team headed by Warren as an initiative funded by OCCC’s Planning and Research department. 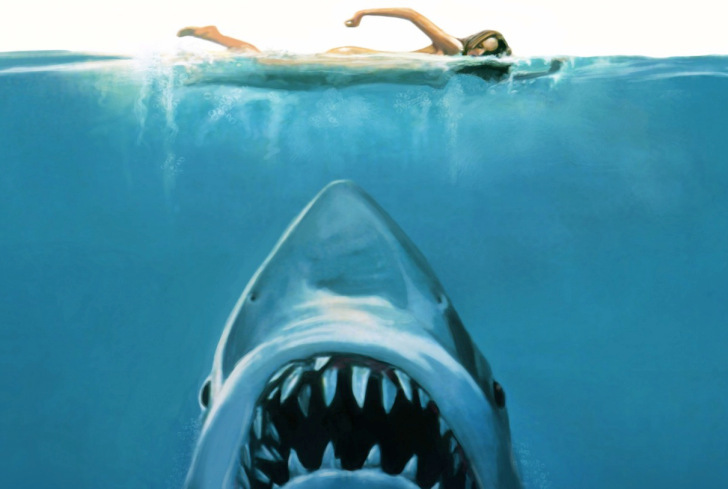 Warren said her team carefully reviewed six other software systems before the choice was made. Part of that process entailed extensive communications with other colleges that use Starfish systems, she said. Warren said she spoke with other community colleges to discuss the relevancy of the software to two-year schools versus four-year universities. “You don’t always have the same goals,” she said. “When we talked to a lot of the community colleges it was really to ask them what they’re doing, why they chose it and how they’re using the software. Warren said, as a company, Starfish holds a philosophy that encompasses everything the college was seeking. “The Starfish philosophy talks about what success is,” she said. “It’s a moving target that entails academic achievement and it requires engagement and it must be measured. Starfish offers many components, Warren said, but OCCC is currently only activating what suits the school’s urgent needs and goals for the near future. To keep users from becoming overwhelmed, she said, components of the Starfish software will be added in separate phases. “Starfish will do a lot more than we’re initially turning on but we’re turning it on in phases to get more out of it. For more information, visit StarfishSolutions.com or email Warran at ejwarren@occc.edu.